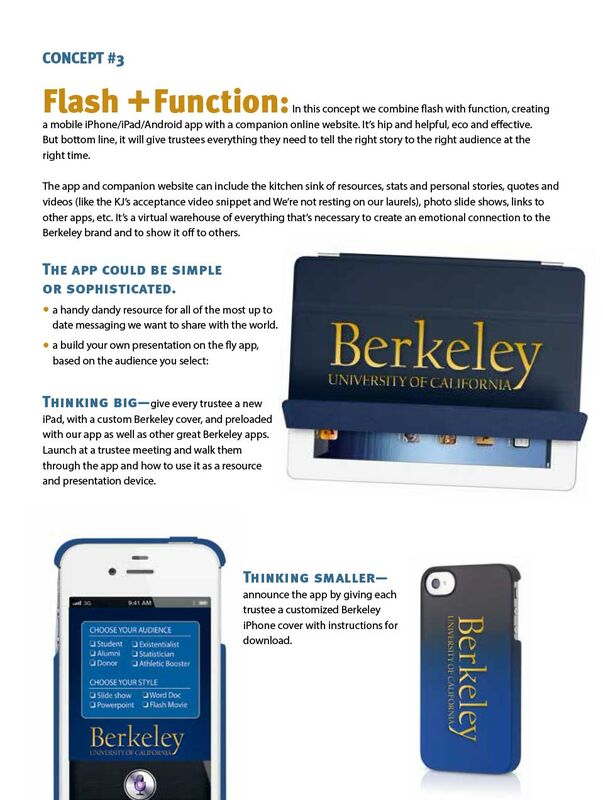 How do you get everyone on the same page when it comes to selling Cal? 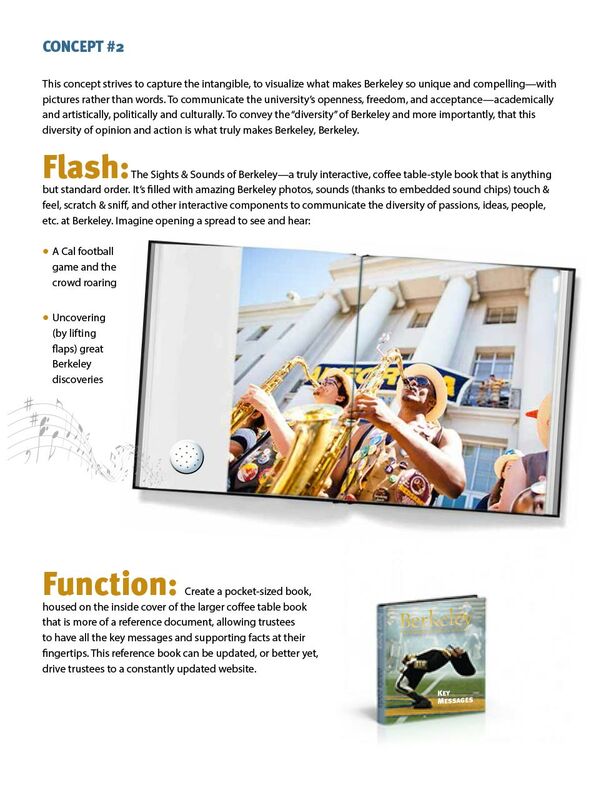 UC Berkeley is the greatest public university in the world. But when you have over 200 Trustees, countless marketing departments, and a state funding crisis, staying on message is very difficult. And, more importantly, what exactly should that message be when you have so many diverse and competing interests? 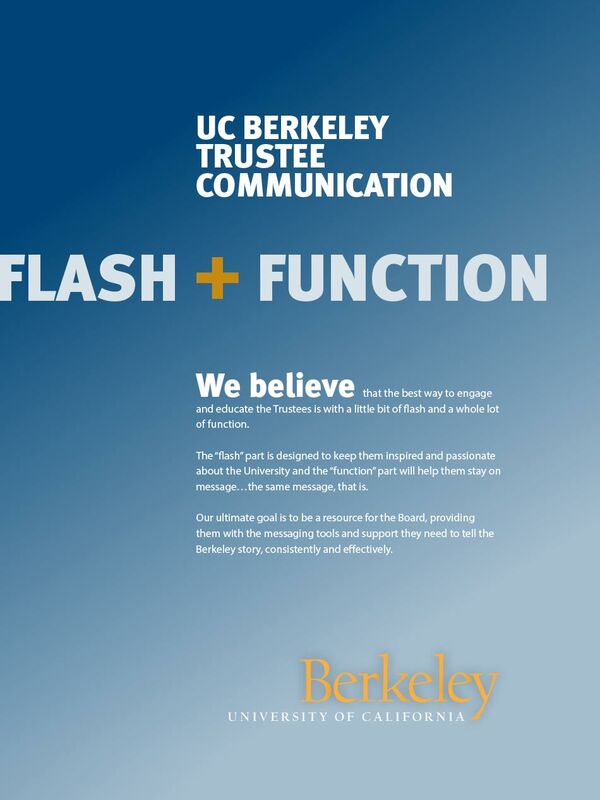 As part of its overall rebranding efforts, we created a messaging platform for Trustees and other campus communicators to help them tell the Berkeley story in a compelling and consistent way. One that relied on stats for support not substance and one that provided flexibility to tailor the story to specific audiences. 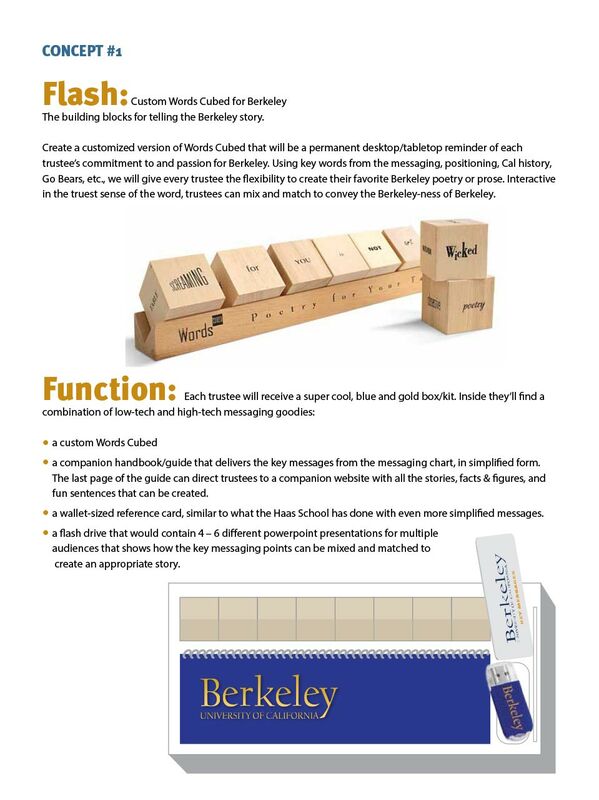 Much like design guidelines in a brand book, the messaging platform is intended to guide what people say and write about UC Berkeley.